I realized something the other day that I had never picked up on before. Genesis opens up with an account of man’s creation and fall. I’ve always taken it as obvious that Moses included the story because he wanted to detail the history of Israel all the way back to creation. Additionally, however, I think Moses had a very practical reason for including the story: It served as a warning to the nation of Israel. Just as God had prepared a garden for the first humans to live in, God had also prepared the land of Canaan for the Israelites to inhabit. And just as God expelled Adam and Eve from the Garden of Eden because of their disobedience to God’s covenant with them, likewise God would expel the children of Israel from the land of Canaan if they disobeyed the covenant God had made with them. Adam and Eve’s experience served as a literary and historical example for Israel to learn from, lest they experience the same fate in Canaan. In a previous post I argued that chance cannot account for the origin of the first living cell because the odds are too low to have any reasonable chance of being met. The odds of a single, functional protein forming by chance is 1 in 10164. That’s 1 chance in 100 trillion trillion trillion trillion trillion trillion trillion trillion trillion trillion trillion trillion trillion trillion trillion trillion trillion trillion trillion trillion trillion trillion trillion trillion trillion trillion trillion. But the simplest life form would need at least 250 different proteins, lowering the odds to 1 in 1041,000! While the numbers appear staggering, many people will immediately raise the “lottery objection”: Just as the odds of winning the lottery are low, and yet people win the lottery all the time, so too the odds of forming life by chance may be low, but that doesn’t mean it is impossible. 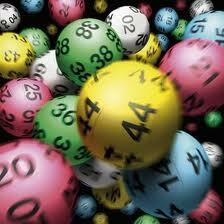 While I understand the analogy, are the lottery and the OOL truly analogous? No, not by a long shot. Justin Taylor posted a nice primer on a Biblical theology of the image of God in man. Man was created in the image of God (Gen 1:26; 9:6; James 3:9). Though that image became marred by sin, it was passed on to Adam’s posterity (Gen 5:3; 1 Cor 15:49). In contrast to man who was made in the image of God, Jesus is the image of God (Col 1:15; 2 Cor 4:4). The Christian hope is to be fully transformed into Christ’s image. We have begun to experience that transformation already (Rom 8:29; 2 Cor 3:18; Col 3:10), and will see the fulfillment of the process at the return of Christ (1 Cor 15:49; 1 John 3:2). 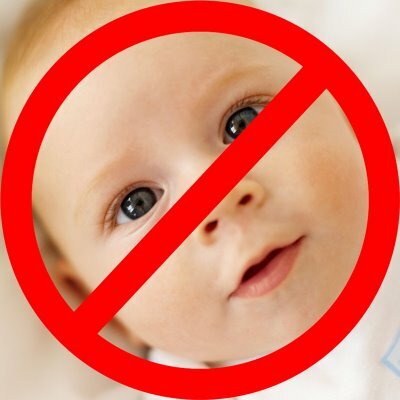 The primary reason human governments across time and cultures have chosen to regulate, privilege, and encourage one particular kind of human relationship over all others is because they have a vested interest in what that kind of relationship can produce: socialized children to perpetuate society. Apart from that, there is no reason for the government to meddle itself in personal, sexual relationships. They are not interested in promoting friendships or romantic love; they are interested in social self-preservation. They are interested in producing a new generation of responsible, socialized citizens to replace the existing generation. Optimal socialization involves both natural parents, so the state is interested in keeping the natural parents together as well. That is why marriage comes with legal responsibilities, and until recently, was difficult to dissolve. I think my first response would be that the atheist’s claim that “I contend we are both atheists, I just believe in one less god than you” is a misuse of language. 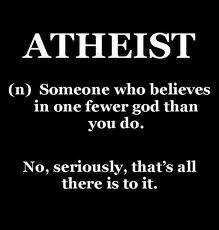 To be an atheist means one does not believe in the existence of any God or gods, so it would be inappropriate to call Christians “atheists.” The claim is rhetorically effective, however, because it makes it sound as if the Christian and atheist differ in only one minor detail (the Christian denies all gods but one, while the atheist denies all gods). Nothing could be further from the truth. A world in which even one deity exists is a radically different from a world in which no divine being(s) exists. How would you respond to the claim? Many Christians have a negative connotation of the words reason, logic, and philosophy. Their negativity is not altogether unfounded. After all, there’s been more than a few individuals who have rejected Christianity on the grounds that it is irrational and illogical. And we’ve all known or heard of someone who studied philosophy only to lose their Christian faith. The problem in all of these cases, however, is not reason, logic, or philosophy, but rather the improper use of reason, logic, and philosophy. Indeed, all of us use reason and logic, and all of us subscribe to a particular philosophy even if we are unaware of it. It is inescapable. Reason and logic are God-given tools that allow us to think and obtain knowledge. 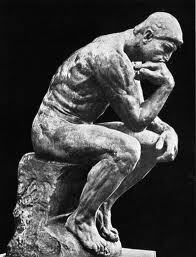 Logic and reason help us to order our thoughts, and enhance our ability to discern truth from error. We can’t think without them, although we can misuse or abuse them in the process of thinking. And that, I think, is where the real problem lies: the abuse of reason and logic. Some of you may have seen a news article circulating every major news outlet. With provocative titles such as “God did not create the universe, says Hawking,” and “Why God Did Not Create the Universe,” one would expect to find some new scientific discovery/argument proving that the universe is capable of creating itself – no God needed. After reading the articles, however, that expectation will quickly turn into disappointment. Where to begin! 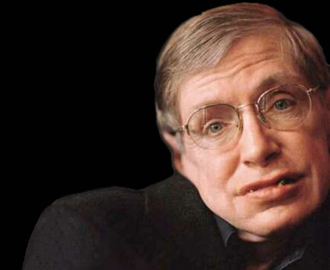 First, while Hawking is attempting to explain how something could come from nothing, he only explains how something (the universe) comes from something else (physical laws, namely gravity). True nothingness is the absence of any and all existents, including physical laws. So from whence come the physical laws?